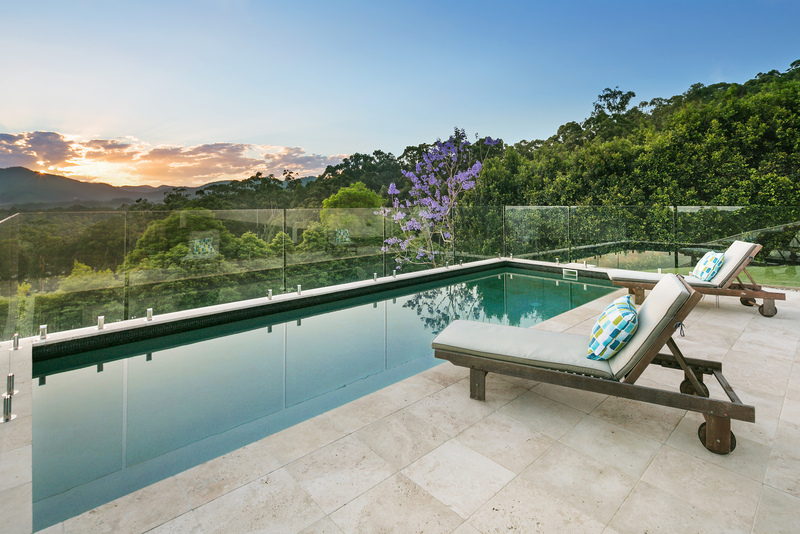 "Luxurious Home With Magnificant Views"
Description: Magical views in one of Coffs Harbour's most exclusive streets, this four-bedroom home offers the perfect balance between luxury, location and convenience. The home takes in an elevated position on Kratz Dr, with simply stunning hinterland views in a neighbourhood renowned for its quality homes. The flowing floorplan creates a home that incorporates practical living without compromising on designer flair. The grounds have been landscaped with low-maintenance in mind with a stunning inground pool that captures those amazing views. Timber floors feature throughout the open plan lounge dining and crisp white designer kitchen which offers the perfect canvas to add your own style. The kitchen is a foodies dream with stone benchtops, stainless steel appliances and ample storage. This open plan living zone flows seamlessly to the large entertaining deck, where alfresco dining can be enjoyed while taking in the amazing hinterland views. A second living area makes the perfect media room or parents retreat. Extras include solar power and hot water, 2 Daiken air-con units, auto blinds and a large under-house storage area or room for future expansion downstairs. The double garage is complemented by additional car parking at the front of the home. All this ultra-modern living comes with the convenience of being within a five minute drive of the Coffs Harbour CBD, schools and sporting grounds.